Attention Vancouver business owners: do you need to be able to reliably respond to your clients from anywhere at anytime with no interruptions? Your livelihood and even your business depends on your clients’ satisfaction… Yet how can you ensure their happiness without a reliable email system? Do you have trouble with your existing email? Do you find you’re constantly missing important communications which results in lost clients and lost revenue? Or maybe you find your current email system difficult to manage with emails and documents constantly falling between the cracks. All this is wasting your time and costing your business money…. Probably even more than you even realize. Just think back to the last time you were frustratingly searching through your email folder… How long did it take you to find what you wanted? With Office 365 you can solve all those problems. At CPG Systems we specialize in ensuring seamless communication with your staff and clients through email migration to Microsoft Office 365. As Microsoft partners, CPG Systems provide trusted computer and email migration in Vancouver, Burnaby, Richmond, Delta, New Westminster and North Vancouver. How is Office 365 Better? You need a reliable, capable email that won’t let you down. Office 365 allows you to work from anywhere… at any time. Your client has just sent you a panicky email –they need a document from you or maybe something is broken – but you’re on the road travelling. You need to respond to it immediately or risk losing your client to someone who can fix their problem IMMEDIATELY. Office 365 is entirely cloud-based so you can easily access your files – Word, PowerPoint, and Excel documents from any location on any device. Even on a beach in Mexico….or on the fly between meetings. You don’t have to worry about not having access to those important documents when you need them. And with Microsoft’s advanced security they are completely secure. All our clients tell us Office 365 increases their productivity. Try it and you’ll find it will give you the results you need for your business. Office 365 is especially helpful if you have clients or a large team that work remotely. Everyone can access the exact same versions of documents, spreadsheets, or presentations in real-time, rather than have multiple versions floating around on separate computers. No more digging up files or working on separate documents. You can also share direct access to your documents rather then send files as attachments, preventing endless confusion and wasted time. With Office 365, you’ll have access to the most up to date tools AT NO EXTRA COST which will allow you to work better and faster than your competition. You’ll get the best features without uninstalling and reinstalling Office on everyone’s computers and mobile devices. In addition, Microsoft is constantly making upgrades to features across programs which you’ll get access to at no additional charge. Now there are plenty of people who can help you migrate your email over…. You might even consider doing it yourself. But don’t let inexperienced technicians or amateurs mess with the lifeblood of your company. If your email is down for even a day how much is that costing you? What if an important prospect emails you and you don’t receive it? It’s better to get it right the first time and do what you’re best at…. servicing your customers. At CPG we are experts in the whole migration process, taking you seamlessly from your old email system to your new Office 365. As Microsoft partners, we know the ins and outs of Office 365 and we will recommend the best solution to fit your business. No matter how complicated your email system is, you’ll pay a single price – we won’t charge you extra or overtime fees. You pay the price we quote. That’s it. We pick the right time to do your Microsoft 365 Office migration so you don’t have any delay in your business. If that means we work weekends or burn the midnight oil then that’s what we do so your business is not effected. Call us today at 604.336.8133 and we’re be happy to answer any questions you may have about migrating email to Office 365. At CPG systems, we have a seamless process that helps you get up and running faster and easier. We first determine your current email setup and your needs so you can get the right fit for your business and you don’t pay for any extra features. Our team then works with you to plan your Office 365 email migration so that it fits with your schedule. Lastly, we train you on how to best optimize Office 365, running tests to ensure everything works seamlessly. If you’ve decided Office 365 Office is right for you and your business, book an appointment with one of our technicians today. We work on a first come first serve basis so the faster you pick up the phone the quicker you can migrate and the less headache it is for you. We don’t want you to be waiting around, losing out on productivity so give us a call today. If you’re still unsure about what is right for you and your business, we are happy to answer any questions you may have. Just give us a phone call. Get Started On Your Migration Today! PS – Remember if you’re not 100% satisfied, we will do whatever it takes to make sure you’re happy. 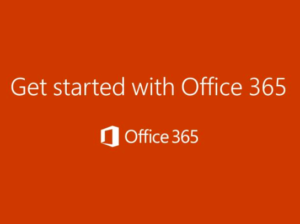 There is no risk in talking to us today so give us a call to see if you should switch to Microsoft Office 365. © 2019 Migrate Email & Exchange to Office 365 | Office 365 Mail Migration. All Rights Reserved.